I took my daughter to Skechers today to get her some boots for school (which starts later this month–by the way, if you have kids, have you read my blog post about back-to-school shoe shopping? 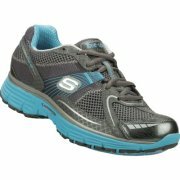 )…and I noticed a fairly new addition to the Skechers line of toning shoes. 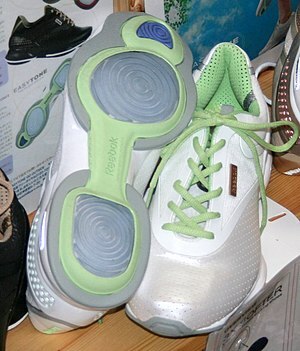 Most people know about their famous Shape-Ups, but they have several types of toning shoes now. The ones that caught my eye looked the most “normal” of all of them: the Tone-Ups Fitness. Now don’t get them confused with the Tone-Ups. Although they look very similar, that is where the similarities ended for me. The two styles feel very different when you walk in them. As a test, I put one of each on my feet and walked up and down the aisles to get a good feel for them. 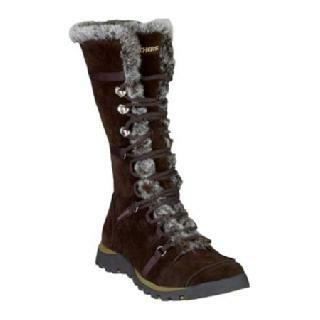 The Tone-Ups felt very stiff and uncomfortable in both the upper of the shoe and in the footbed lining. But the most uncomfortable part about them was during heel strike. As I took each step and my heel hit the floor, the sole of the shoe felt like I was walking on a hard bump. Not a good feeling. On the other hand, when I walked in the Tone-Ups Fitness, I have to admit that the shoes felt good. The sole felt a little spongier and cushy than my running shoes and other athletic shoes, but it was not uncomfortable. It kinda felt good. Weird that such similar shoes felt so different. I even asked the salesperson before I did my little ‘experiment’ and he said that the main difference between them was that the new shoes (the Tone-Ups Fitness) were more lightweight than the older versions. Sorry, Skechers salesperson, you were super nice and helpful climbing up the ladder to get me my size 🙂 but that is not the main difference between them. Moral of the story: Don’t count on the sales associate to give you the low down on the shoes you are going to put your feet in! Try them out for yourself and save yourself some discomfort when you get them home! Shoe Lovers: Got brown shoes on today? Today is National Wear Brown Shoes Day! 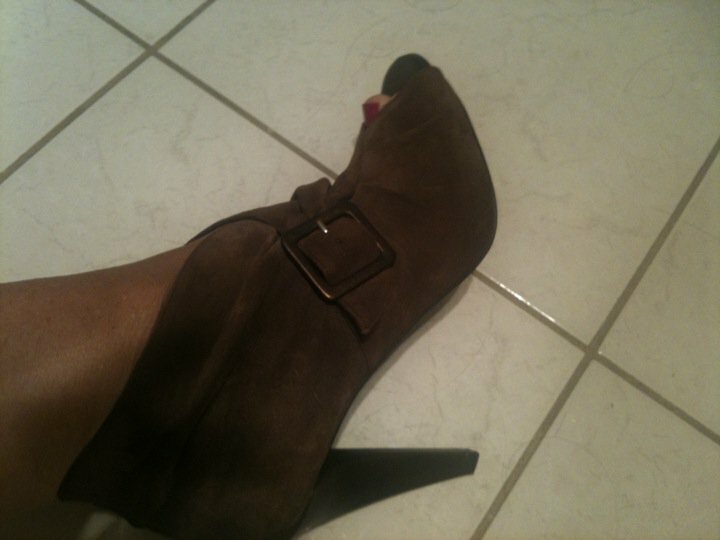 My Donald J Pliner brown suede open toe ankle booties that I got for Valentines Day (thanks, babe! ): These high heels (they don’t look too high in this photo, but they are a good 4 inches!) could really only work for a dinner party, dinner date, drinks with the girls, or some other type of night on the town. Not for shopping at the mall. No way! 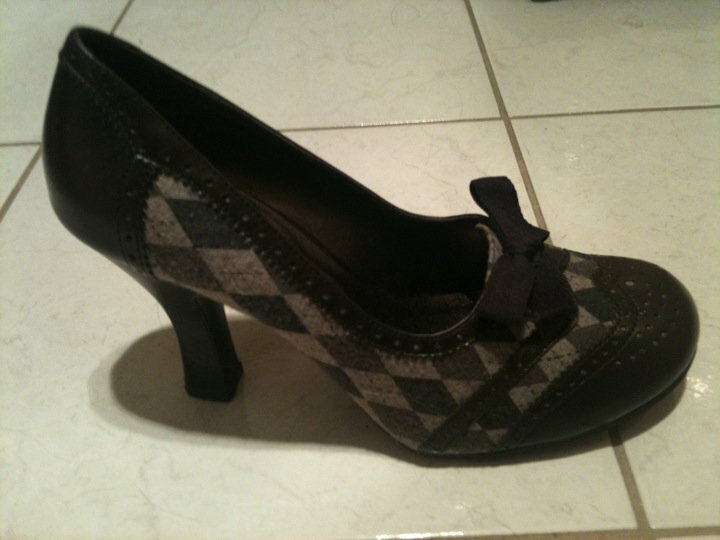 But I love these shoes, and wore them last time to a fancy breakfast at a country club. My brown Kuru’s: These shoes are kind of like a mix between an athletic shoe and a loafer, and they are designed to be outdoor shoes. I have to admit I wear them inside too. 🙂 They are great for work, but since I usually wear my scrubs in the office all day, I usually wear my running shoes, Kuru’s, Skechers, or Crocs. I know that some of you don’t have that luxury because you have to dress up for work…sorry, girls! 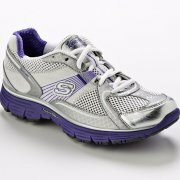 But for those of you who can wear athletic style shoes to work, give these a try! As a foot specialist, I definitely recommend them to you and to my patients! 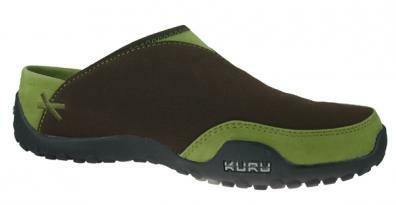 Here is a little more information on Kuru’s from the company itself: Kuru shoes are built on the World’s Most Anatomical Midsole for active footwear. This patent-pending technology is the most ergonomic and anatomically correct active midsole available. Designed to perform under all conditions, this technology will enhance any active pursuit. Whether you’re traveling, walking, hiking, or casually strolling across town, Kuru will take you there. And here is another recommendation from another blogger, mom, and nurse, Sarah from Minnesota-Mama-Must-Haves who describes how comfortable these shoes really are! 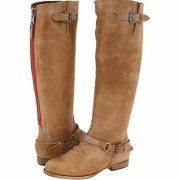 My red zipper, tall leather boots by Steve Madden: OK, so they are light brown (or maybe tan), but close enough! I love these flat boots. They’re casual, comfy, and pretty stylish if I do say so myself. I actually have to give my sis, fashion designer and stylist, Jen Summers credit for this find because she turned me on to these puppies! (thanks, Jen!) These boots can handle just about anything except for running or working out, I think. They really are perfect for a day of shopping, going to the Christmas parade, or even out at night…with the right outfit, of course! My furry Skechers boots: I know I have featured these before in another blog, but I couldn’t leave these out of Wear Brown Shoes Day! Warm, cozy, comfy, and warm. That pretty much sums up these boots. I wore them camping once or twice, and I may have been the only one around the campfire not complaining about cold feet and ankles! 🙂 I wouldn’t wear them out on a date, unless we were doing a REALLY casual dinner and a movie or something like that, but they work great for daytime activities in this chilly weather. That’s about it for MY brown shoes, except for some strappy shoes that I left out due to the weather. 🙂 So, did you wear brown shoes today? If you did, I want to see them. Post a pic or make a comment below.